Cast: Kajol, Shahrukh Khan, Kirti Shanon, Varun Dhawan, Boman Irani, Johnny Lever, Sanjay Mishra and Varun Sharma. Dilwale is undoubtedly one of the most hyped movies of the year and hence its release was eagerly awaited by audiences. The movie starring Kajol, Shahrukh Khan, Kirti Shanon, Varun Dhawan, Boman Irani, Johnny Lever, Sanjay Mishra and Varun Sharma has been directed by Rohit Shetty. Produced by Red Chillies Enetrtainemnet, the movie, whose music has become quite popular, was released in theatres on 18th Dec 2015. A chance encounter between Raj (Shahrukh Khan) and Meera (Kajol), the chidren of two warring gangster families, leads them to fall in love. But a twist of fate forces the two lovers to part ways and lead separate lives. 15 years later, Veer (Varun Dhawan), who is the younger brother of Raj, falls in love with the girl-next door Ishita (Kirti Shanon). Unknown to him, Kirti is the younger sister of Meera. Veer seeks the help of his brother, who now re-models cars having left his gangster ways, to win over Ishita, unaware of his brother’s past relationship with Ishita’s sister Meera, who is now the owner of a shack. Will the two older lovers forget their past for the happiness of their siblings and will their own love be rekindled in the process, is what the rest of the story is all about. Dilwale has all the components that are integral to a Rohit Shetty film. The music is good and justifies the romantic character of the film. The performances of SRK and Kajol are truly enjoyable especially with Kajol looking her best in the movie. Varun and Kirti have also done a great job in terms of essaying the roles of young lovers. Perhaps the only drawback of the film is that it does not really offer anything new to the audiences. 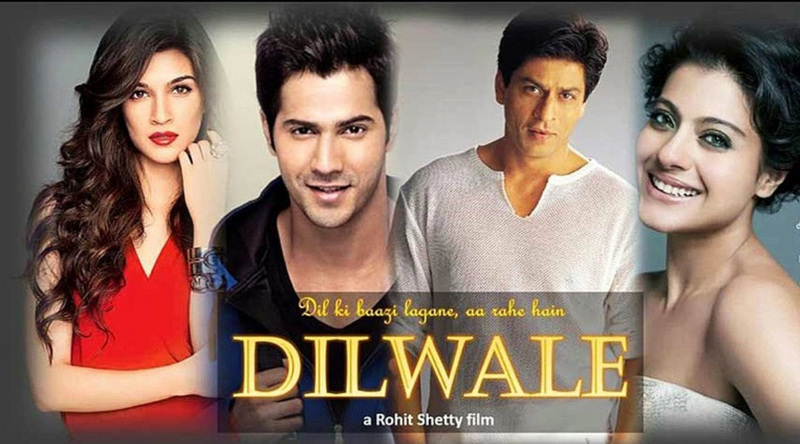 Overall Dilwale is good entertainer and IndiaCafe24 gives it a rating of 4 stars.